In interview with… Prathamesh Karpe, Ayurvedic doctor in Goa ! Prathamesh Karpe is an Ayurvedic doctor from Gomantak Ayurveda College, in Goa (India). He’s attending the 3rd International Conference and Exhibition on Traditional & Alternative Medicine in Birmingham (UK), next August. He kindly accepted our interview request, and here is his story ! 1. You are a visiting speaker in Traditional and Alternative Medicine Conference in Birmingham? What brought you here and can you tell us something about your background ? Prathamesh Karpe: Well, i saw the notification of the above Conference on one of the social networking website and after visiting the Conference website i sent the abstract and it got selected and organisers also requested me to conduct a symposium too. Through this Conference i wanted to show the real efficacy of Ayurved as an evidence based science and not just an alternative or traditional medicine. Regarding my background I am a Ayurved practitoner from India. I did my bachelors in Ayurved medicine & surgery from Gomantak Ayurved Mahavidyalaya & Research Centre Shiroda Goa- Goa University India and Post graduate degree- Masters in Shalyatantra from Late Kedari Redekar Ayurved Mahavidyalaya and Postgraduate & Research training centre, Gadhinglaj, under Maharastra University of health science Nashik- Maharastra India. I do speciality clinical practice in the area like hemorhoids, fissure, fistula in ano- ksharsutra (chemical seton prepared from herbs) therapy, Panchakarma therapy in non healing wounds, Agnikarma (thermal cautery) in pain management etc. I am also working as a lecturer and shalyatanra consultant at Gomantak Ayurved Mahavidyalaya & Research Centre Shiroda Goa. 2. How many years of experience do you have in the field and what do you specialize in ? 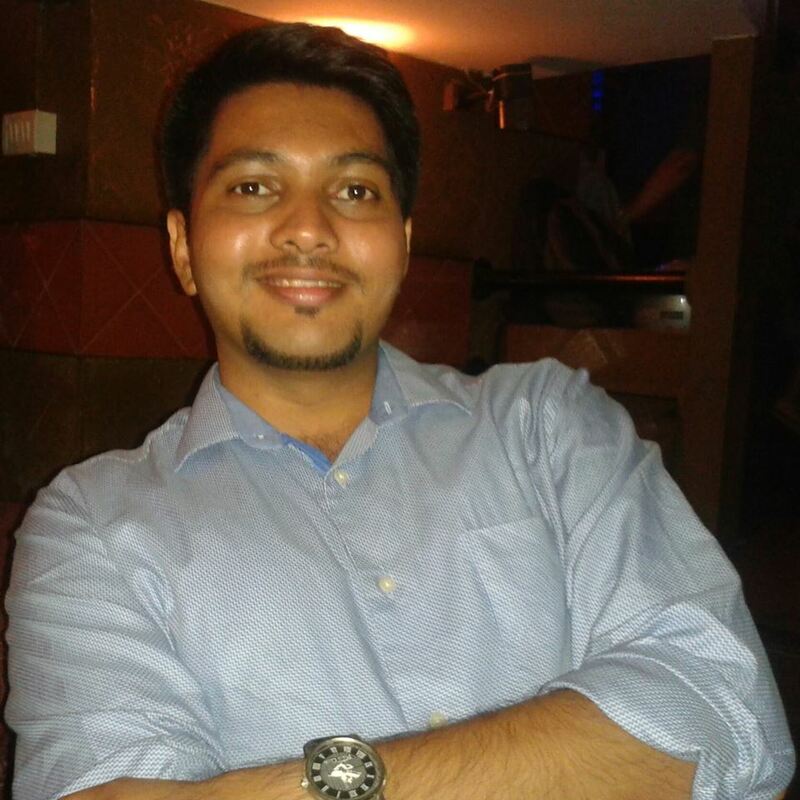 Prathamesh Karpe: I completed my 4 and half years medical school and 1 year rotatory Internship programme in the year 2010 and then joined Post graduate programme – MS(shalyatantra) in the year jan 2011 and completed in the year 2014. I also started my private practice side by side since 2010 and specialised practice since 2014. My specialisation is Shalyatantra. It is surgical branch of Astang Ayurveda. It deals with ulcers, wounds, fractures, urinary calculus, septic wounds, hemmorhoids, fissure in ano, fistula in ano, cysts and tumor management, pain management by Agnikarma and Panchakarma. I also deal with autoimmune diseases like Rheumatoid Arthritis, Inflammatory bowel diseases (ulcerative colitis and crohn’s disease) and other disorders related to digestive system. I also do Ksharsutra treatment. Ksharsutra is a chemical seton. It is a thread processed with various herbs and caustic alkalies and is widely used in treatment of fistula in ano. 3. Can you tell us what is a normal day like for you in an ayurvedic hospital ? What is the main difference between ayurvedic and allopathic hospitals ? Prathamesh Karpe: My normal day starts with Suryanamskar, then offering prayers to God and my parents and then i head to my clinic. Morning schedule we complete Indoor patient rounds and their followup, followed by parasurgical procedures like ksharsutra, ksharkarma etc, and then followed by out door patient consultations. In the afternoon post lunch session I take lectures for final year students of Ayurveda, their theory and clinical schedules. Teaching is a wonderful job it keeps you updated. In Ayurvedic Hospitals we focuss on patient’s diet and daily regimen. We lay stress on improving the Agni that is power of metabolism so that the immunity will be built with proper nutrition and this help the patient to recover from illness and fight with the diseases. It includes panchakrma, Shaman chikitsa, Rasayan etc. I think this is the main difference between Ayurved and other medical systems. If one follows the ayurvedic lifestyle that is follwing Dinacharya (daily regimen), Rutucharya (seasonal regimen), good diet etc, one will hardly fall sick and if one fall sick it wont be too grave and recovery period will be very less. 4. How do you define ayurveda in the midst of all other alternative therapies that are presented in the Conference ? Prathamesh Karpe: Ayurved is a well established science, its not just a complementary science or alternative medicine or traditional medicine. One can well protect his/her health with Ayurved. Ayurved is not just a herbal medicine but herbs are just a part of the medicines used in the treatment. Ayurved focusses on preventive aspect rather than curative but if one falls ill he can be well treated with line of treatment mentioned by ayurved classics like Charak Samhita, Sushruta Samhita, Astang Hridayam, Sangraha, Kashyap Samhita, Bhavprakash Nigantu, Sharangdhar Samhita, Yogratnakar etc. Ayurved is a science of life, it explains what is good and what is bad for health and how on can live healthy and a happy life free from sorrow and diseases. While understanding the person we consider body, mind, senses and soul too. This thing separates Ayurved from other alternative therapies. 5. Ayurveda is the most ancient system of medicine in the world. How do you see ayurveda related to Chinese traditional medicine ? Prathamesh Karpe: Well, I have not studied chinese medicine so i wont be able to answer this question. 6. What would you say to a layperson that would make him or her choose ayurveda instead of homeopathy or naturopathy? What is the significance of the long history of Ayurveda ? Prathamesh Karpe: When any person comes to me for treatment i just explain him what has became wrong and how we can correct it in his own terminology and by this way patient gets convince and gives consent for the treatment. Ayurved can convert your diet into your medicine. By just correcting the diet and daily regimen half of the treatment is done and rest Panchakarma (5 purificatory procedures) treatment do. It removes all metabolic waste products out of the body and helps in regaining health. 7. In your point of you, what would encourage people to take up on ayurvedic lifestyle ? Prathamesh Karpe: If one follows the ayurvedic lifestyle that is following Dinacharya (daily regimen), Rutucharya (seasonal regimen), good diet etc, one will hardly fall sick and if one fall sick it wont be too grave and recovery period will be very less. Many people are developing tendency of getting renal calculus, this mostly happens due to impurification of the body, chronic indigestion, not attending urge for passing urine, eating heavy food stuff, dehydration etc. 8. You will be talking about the concept of ashamari or urolithias in the Conference. What is your experience in treating this condition? Can you tell us briefly how people can avoid this condition in their daily life ? Prathamesh Karpe: Many people are developing tendancy of getting renal calculus, this mostly happens due to impurification of the body, chronic indigestion, not attending urge for passing urine, eating heavy food stuff, dehydration etc., like factors causes formation of calculus on the urninary system. I had seen the cases of renal calculus upto 9mm passing off from the kidney with ayurveda drugs and Panchakarma therapy like basti, virechana etc. Also recurrence is also prevented. One can prevent this condition by performing Panchakarma and improving digestion and by avoiding the causative factors. 9. Do you think Ayurveda should be considered Indian or a universal system of healing that can be applied anywhere, without compromising its principles ? Prathamesh Karpe: Ayurved is science of life and science cant be restricted to any single country or planet. It is universal or i will say Ayurved is a manual of life like how we get manual with gadgets we buy similarly Ayurved helps us in understanding our life in betterway. Absolutely Ayurved can be applied anywhere without compromising its principle only thing is that we should understand it properly. 10. The government of India has an increasing interest in promoting ayurveda. How do you see this impacting the future of ayurvedic practice and awareness both in India and outside ? Prathamesh Karpe: Since past year Ayurved is gaining popularity like Yog Shastra abroad but one bad thing i feel about ayurved teaching at abroad is that some organisation conducts credit based programme and just teaches superficial and very basic knowledge. Ayurved should be taught like how it is taught in India in a 4 and half year course with 1 year intership and it should be learnt directly from the Samhitas and Sangraha and not from anyother translated textbooks. We are here encouraging students to learn and byheart verses from classical texts. Of one learns Ayurved from Samhitas then only one will understand it correctly and will be able to offer correct treatment for the diseases without any dilemma. Thank you Prathamesh Karpe !